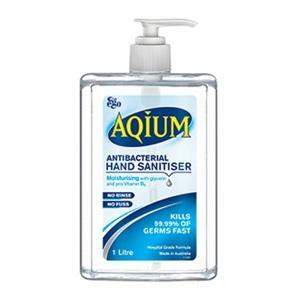 AQUIM Gel is an alcohol-based hand sanitiser that kills germs without soap or water. With a variety of sizes, from a big 1 litre pump pack to a handy purse-sized bottle, you can use AQIUM Gel anywhere, anytime. And because AQIUM Gel also contains moisturising agents it keeps hands soft and helps prevent dry skin.